Passing a whopping 1000 pages (okay, around 900 minus the extensive endnotes) this Beethoven biography just kept me enraptured. Enough that I kept lugging the hardback to read at the bus stop and on the bus into work each day. Getting into work I began back diluting cultures to the compositions I had just been reading about. From this you can tell that Swafford has written a readable and inspiring biography of the Ludwig van. Covering the totality of Beethoven’s life, Swafford also nicely givens contextual background from what is known about his immediate ancestors to the cultural and historical events that swirled around both locally and internationally. At times the biographical details on Beethoven’s benefactors seems a bit too detailed, though they are mostly discussed to highlight the ups and downs of Beethoven’s support, why he was appreciated by the upper class of the time and the limits of even their lifestyles to continuously supply patronage. What really makes this lengthy biography work is that it isn’t merely a biography of Beethoven the person, but also Beethoven the composer in the sense that a good amount of space is spent both describing the process by which his major works were created and critique of the music itself. 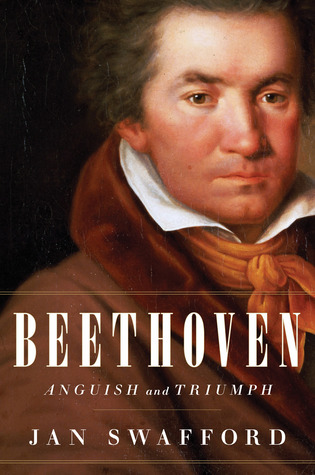 Swafford nicely attempts (and largely succeeds) at taking a step back from the long history of viewing Beethoven as a genius to to look objectively at his achievements. For fans of classical music, serious or just vaguely familiar, this biography and discussion of his music will probably be appreciated. The musical analysis was at times more advanced than the basic music theory/history I was familiar with, but Swafford also does a fair job of explaining so that even the non professional musician will understand the main points, and a newbie will likely learn some wonderful things about music in general and about distinctions between different approaches (eras) of what is all lumped together as ‘classical’. In addition to covering the style of Beethoven’s output, Swafford also covers the basics of his contemporaries, particularly those he learned from. If you are thinking about reading this but aren’t sure whether to commit to such a large work you can get a fair idea the whole thing by just reading a few chapters (interspersed with listening to some recordings I’d recommend). The first couple chapters are more laden with biography compared to a larger amount of musical focus further in, but you should still get a fair idea of Swafford’s scope and style. Disclaimer: I received a free advanced reading copy of this from Houghton Mifflin Harcourt via Goodreads’ First-Reads Giveaway Program in exchange for an honest review. I used to know a fair amount about the Civil War and Sherman, but not having read much about it in years, many things had slipped my mind. Having lived in St. Louis for a good time and knowing Sherman’s connection to the city I was interested in giving this biography a read. Overall it is a fascinating and very approachable volume, never getting bogged down in too many details and presenting the history and personalities in an engaging style. While not skimping on details and analysis, O’Connell effectively avoids academic tones, relating a good deal in almost conversational fashion. The writing makes it clear that he is really interested in this story and the character of Sherman. The downside to the book, however, is its organization. O’Connell in the introduction makes the point of needing to separate the various aspects of Sherman’s complex character or personality and behaviors, which at times he feels could become seemingly incongruous or too scattered to follow as one coherent chronological line. This results in the book being divided into three sections: 1) a military perspective (campaigns and his relations with the military hierarchy), 2) another military perspective (his relations with the troops under him), and 3) his personal life. O’Connell’s previous work, which has focused on military and weapons makes the focus of this wartime hero understandable. But, a large amount of the introduction points out the important contributions that Sherman made after the war, which have often gone ignored, particularly in realizing or enabling the “Manifest Destiny” of the previous political years prior to the war’s outbreak. Sadly, very little text is spent on this period. The bulk of the book is taken up just with the first part. 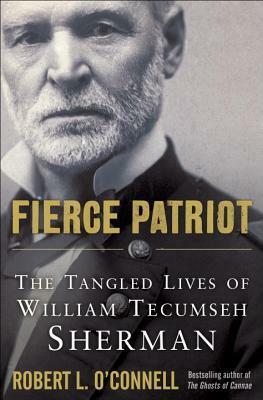 The second part is really a continuation or a rehash of things already covered, but provides a slightly more detailed perspective of Sherman as viewed by his troops. In this way the two chapters of that second part feel more like a biography of the soldiers rather than Sherman. Additionally, much of the private life of Sherman in the final part (again only a couple of chapters) still gets discussed (just more fleetingly or generally) in the earlier sections. The entire end of the book thereby feels like a slightly more specific discussion of things already mentioned, leaving them feel tacked on and superfluous, too separated from the whole. Despite my issue with the breakup of the organization, this volume would be a fine addition to the library or reading list of those interested in the Civil War and the people involved. O’Connell summarizes other historical accounts of Sherman’s life well within the entirety of his text, often analyzing conflicting views or offering up his own unique take on interpretation of events or beliefs that the historian can only speculate upon with the evidence we have. In all O’Connell seems well-reasoned and informed and he offers copious notes to original sources for those who wish to delve deeper. Having focused on biology and French in college, I was obviously intrigued when I saw the description of this book. Amazingly I hadn’t realize the wealth of connections between these subjects that intersected in the decades from World War II to the Cold War. The achievement of Carroll’s book is that he is able to merge disparate forms into one cohesive, enthralling, and compulsively readable volume. 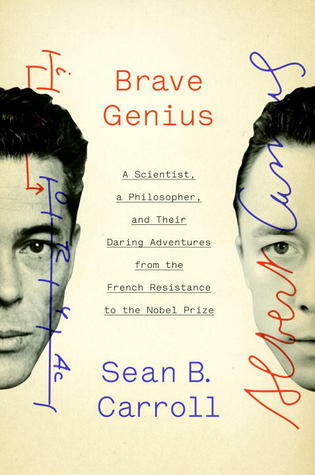 A combination of biography, military history, literary/philosophical history, and science, Carroll somehow makes it all work, focusing on the lives of Camus, Monod, Jacob, and others. Mostly these stories are physically separated, coming together in time and space only briefly. Yet each individual’s separate story is linked together by shared global experiences of political and social strife and coming each, individually to a personal philosophy and pursuit of some passion for their own personal betterment and the benefit of their fellow humans. Camus’ story in terms of his journalism, literature, and Existential philosophy is the most widely familiar, but strikingly similar to the genius and passion displayed by Monod, Jacob, and others through their pursuit of science. For anyone interested in literature, science, or the history of World War II, this is a book I would seek to devour. What sets it apart from a mere history of compelling characters is the inspiration it engenders to fight against situations of injustice and concern that you may see in the world, giving an applicability that transcends any particular historic period or society, one that you can easily see reflected in many issues of politics, science and culture today. It’s been a little over a week since I finished this book, and am now finally getting to post a review amid the busy flow of teaching this semester. Upon finishing it, and since, I vacillated between what ‘star’ rating I should give this collection of essays. In terms of expectations it was a bit of a disappointment to me, but in terms of judging it solely on what its own being it warrants higher consideration; so I went for the latter. 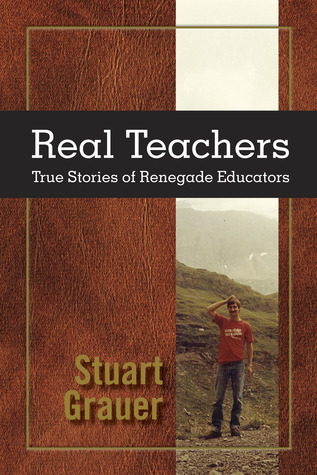 I expected this to be a collection of essays about “Real Teachers”, stories of different in-class experiences, perhaps even from multiple points of view. In a very broad interpretation it could be considered to be so. But really it is more of a series of reflections, a memoir of sorts, of Grauer’s personal experiences and view. Because Grauer breathes education and allows the subject to intersect all aspects of his existence and interactions, the ‘educational lessons’ and ‘teachers’ he accounts in each essay come from all aspects of experience and position, whether a professor, a Native American high school teacher, a child relative, or the impoverished citizens of rural Mexico. Each chapter memoir focuses on key themes or ideas related to education, both theoretical and practical. They are each personal reflections by Grauer on what he learned from each experience regarding how education can, and perhaps should, proceed. Within this framework, Grauer accomplishes, above all, inspiration and food for further thought. Nicely, he includes victories, failures, and those educational experiences that fall somewhere in between. Similarly, some chapters are long and assertive in their conclusions, while others are brief and more meditative. While the reader might not agree with all of Grauer’s conclusions and statements, I don’t see that as the point of this book. It is not written to convince: as a memoir, not an ‘academic’ work, it lacks extensive citations to backup all assertions. Instead the point seems to be for Grauer to get the educator thinking more deeply and more holistically about the art of their vocation. And perhaps to recapture some of that passion and joy. The holistic aspects of education permeate the entire book, echoing the commitment of Grauer to his calling and underscoring the intense personal and deep connections involved in the education process between educator and student and the surrounding physical world and human culture. Being written by Grauer and prominently featuring his own private school, I feared the book would come across as self-serving and boastful. For the most part I didn’t find this to be the case. Most consistently, I found Grauer to be frankly honest and focused on a goal of increased personal learning. While Grauer comes across as particularly ‘liberal’ in the classic sense, the book is not remotely political, and Grauer likewise holds positions and ideas that are profoundly ‘conservative’ as well, all depending on what he has concluded engenders the greatest opportunity for real teaching. 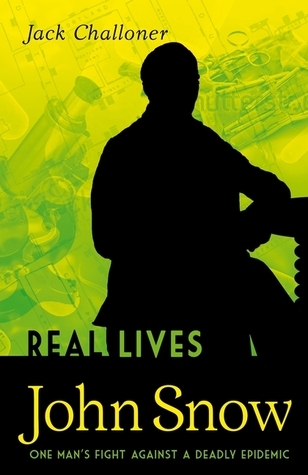 At the end, I don’t actually know if there is a strict definition of what a “real teacher” is to Grauer, much as it is hard for a biologist like myself to come up with a simple one sentence definition of “life”. It would be interesting to read a book by Grauer that focuses more on solutions and firm facts regarding education, rather than relatively vague reflective meditations. But perhaps Grauer’s point is that there are no standardized solutions or universal firm facts of the teaching process, but a complex, adaptive relationship between people who require openness to getting things wrong and learning from one another through missteps.